Click here to read this story called "Scientists Study Lake Powell Sediments to See How Climate Change, Humans Are Affecting the Water"
Click here to read a rebuttal by John Fleck called "No, Lake Powell Is Not Inexorably Headed Toward Dead Pool." Click here to read this OpEd by the Editorial Board of The Salt Lake Tribune called "If We Build Powell Pipeline, Will the Water Come?" Click here to read this story by Allen Best of Mountain Town News called "Again, The Question About Whether Lake Powell Is Doomed." 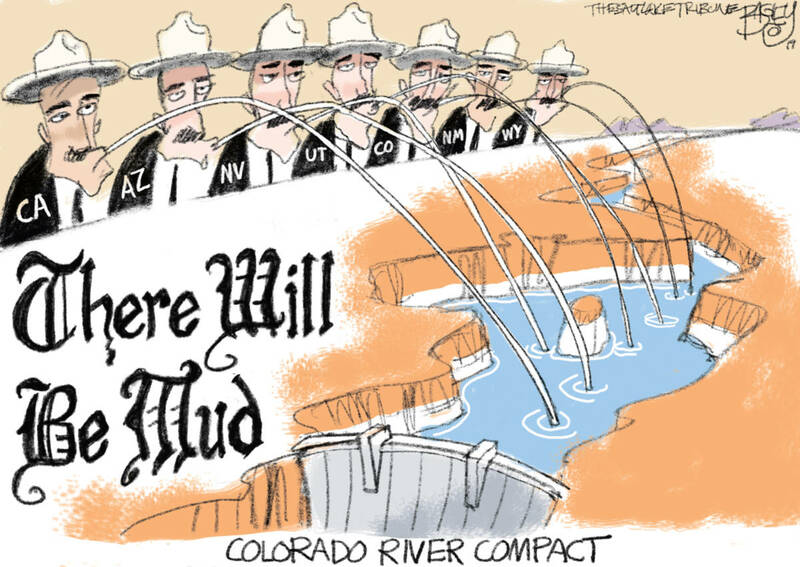 Pat Bagley Editorial Cartoon from The Salt Lake Tribune "There will be mud!"